Brutus, Esq. is a licensed attorney and a graduate of a top-3 undergraduate institution and the top law school in his state. After 6 years of post graduate school which opened no doors, at least one of the bamboozled has turned to online poker for income. I am not surprised. Actually, one of my law school classmates decided on playing poker for income before he picked up his JD. He didn't waste his time or money on the rip off that some people call BarBri as he did not take the Bar Exam. I'm not sure how he's doing, but I'd figure that he's not doing too bad - he had real skills in math. What I am sure of is that he is doing better than the hapless souls cyber-panhandling on craigslist for legal "jobs" that only differ from indentured servitude in that the servant is required to have a JD and a permission slip from the elites called a "legal license" in order to have the privilege of serving. Meanwhile, the gambler serves no one. Sure, professional gambling may be looked down upon, but the reality is that much of it is little different than what the "upstanding professionals" are doing on Wall Street. Speculating on whether the price of cotton will go up or down is no different from speculating on whether the NY Giants are favored by too many points on a given weekend in October. The only difference is that there is some external economic function of the former. But when money is risked based on that speculation, the action is gambling whether you're in Atlantic City or at a commodity trading desk. There's no way around it. I think we will see a lot more young people turn to gambling as a source of income. There will be herds of college graduates talented in math and/or possessing an ability to spot relative value. The jobs at the Wall Street Casinos that they may have coveted will not be there. 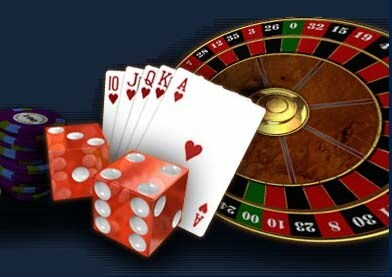 They will use those same skills at the other casinos. More Propaganda for the Education Establishment? Bloomberg Reports that "College Graduates Spur Economic Growth". "This year’s college graduates are likely to make the global economy more productive because of their education, judging by the results of a study from the National Bureau of Economic Research." “Human capital, particularly attained through education, is crucial to economic progress,” Barro and Lee wrote today in a posting on the Centre for Economic Policy Research’s Vox Web site that summarized their findings." Unless one conflates primary and secondary education with "higher" education, which would be ridiculous given the marginal utility of the latter, those findings lend no support to the writer's point. 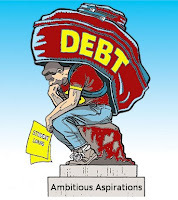 The fact of the matter is that college graduates, at least in this country, have already had a lot of their productivity negated due to time spent in college learning non-productive information and by going into debt to spend said time in college. Removing government-backed student loans for college and graduate school would lead to more production, not less. Marginal students will get jobs and produce rather than wasting their time. Further, the cost of education would go down due to the diminished demand, and the value of the degree would go back up. I know some want higher ed to be a "right" (which cannot be the case by definition, but I digress), but doing such will only continue to flood this country with degrees and make them worthless. There's a reason that, during time spent in Russia, I met a PhD who had to sell hot dogs in a Metro station for a living. "You got a degree? Great! Too bad there's no demand for it in the workplace!" Now, who wants to hear that (again)? Brutus is back, after a hiatus which was spent getting older and continuing the career search. Don't have much time to delve into any deep issues, but I found an article that you ALL should read. It shows the predicament of an entire generation that might as well have had credit cards in their baby bottles rather than formula or mother's milk. "Even before the recession, nearly half of college students dropped out before earning a degree, the Demos report said. Now, people from low- and moderate-income families are much less likely to enroll at all." Those people are wising up, as are many of us Debt Children. That is definitely an encouraging sign. Why does Higher Ed cost so much? Why, it's the federal student loans of course. Peter Schiff, who was one of the few prominent voices warning about the Nasdaq bubble and then the housing bubble, explains the problem and the culprit. First came the government student loans for those in "need". Many of those students may not have chosen college otherwise, as they would have had to put college off and work to save enough to pay tuition. But instead, they had federal money to throw at the education industry. They used it. As basic economics would tell us, prices skyrocket for those not considered in "need", which includes the middle class and higher. The loans had bid up the price of education. Soon enough, the non-needy can't fathom saving such a ridiculous amount of money for college. So, why not borrow? Everybody else is doin' it! That is the stuff bubbles are made of. Is this the article that tells the story of an entire generation of students? It's an "oldy" but definitely a "goody." Kathy Kristoff's article is spot on with her analysis of the deliberate misleading and plunging of an entire generation of young people into crippling debt through college propaganda, the criminal student loan system and easy money. We wish the article were an April Fool's joke, but it definitely is not. 1. It tells a real story - a couple breaking up because they both had too much debt from undergrad and law school. 2. Former students' inability to make payments on their inflated and devalued college degree is discussed as well. 3. It details the inevitable harassing calls from Sallie Mae that follow, along with a short blurb about their criminal former CEO, who made off (Ma-doff) with $72 mill before the stock tanked. "[O]ne in four college grads takes home considerably less than the top quartile of high school grads, according to a College Board study. Even some people with doctorates earn less than people without so much as an associate degree, it shows." 5. Consumer fraud is mentioned. 6. As is the case with sub-prime lending in real estate blacks (and other minorities) are the lab rats for sub-prime student lending. "For many a bachelor's degree is nothing but a stepping-stone to a professional degree. Joel Kellum is one of those. After graduating from the University of Virginia, he got into California Western. Kellum approached a law professor about the wisdom of borrowing for the tuition. "He said, 'Don't worry,'" Kellum recalls. "'We had the same thing when we were in school.'" My guess is that the law professor did not have an undergrad major involving math. They "had the same thing"? What a joke. But it's all in there, folks. Check it out. It's the college chapter of the Children of Debt story in a nutshell. Read it. Have your parents read it. Have your extended family read it. The education bubble is bursting, yet there are millions of high schoolers ready to waste time and future earnings to reflate it. This info has to get out to them before it's too late. A sad story, but it won't be the whole story. There will be way too many educated and disgruntled young people in this country for change to be avoided (not the fraudulent "change" touted by the current president). The market will win as more become privy to the Education Industrial Complex and the fact that it exists for its own benefit and not for the benefit of its students. It will take time, but college as we know it will not hold its place as the "key" to the good life once supply and demand show the reality. In the mean time, there may be quite a few Future expats, like our Angry One. All is not lost. Think globally. Sorry Ajilon Staffing... Had to post this..
"We currently seeking licensed attorneys with Russian fluancy for a short term document review project. This positoin can be worked out of either the Philadelphia or DC offices of an well known international law firm. Hourly rate will be determind by expeireince and will be competative with market rates. Qualified candidates should email theirr resume in MS Word format." No, I didn't make this up. You can't make crap like this up. They require that you speak Russian fluently. They require that you be a licensed attorney. Meanwhile, they don't even require that their own employees possess the ability to type in English and spell correctly, or, heaven forbid, use spell check. The person who wrote that ad is either lazy or doesn't spell well enough to complete that task or both. God bless whomever it is, but to the millions of "overqualified" unemployed Americans, the thought that the writer of that ad has a job probably doesn't sit to well. The NJ Ethics Committee submarined solo practicioners on Friday, ruling that virtual offices do not meet the "bona fide" office requirement. "In an action that could affect large numbers of New Jersey practitioners, two court regulatory committees said on Friday that "virtual offices" staffed by receptionists who are mere answering services do not satisfy New Jersey's bona fide office rule." So, basically if you can't get a job at a firm and you don't have enough resources to rent a real brick and mortar office, you can't practice. For those who ran up debt in law school and didn't finish high enough in your class for a legal job, I heard bartending school's reasonably priced. And they have loans for that too! As justification for a useless rule that other states have already jettisoned, the article points out that it was formed to "keep out-of-state practitioners at bay" and (ok, you can laugh) "partly to put a stop to lawyers who ran their businesses out of saloons, social clubs and pay-phone booths."